Looking for a Christmas morning breakfast that can’t be beaten? Try French Toast. This basic recipe is a sure winner and you can plate this morning dish with toppings of berries, syrups, and various whipped creams. If you want to make your own blackberry syrup, check this recipe here. Most people with kids want Christmas morning breakfast to be easy; after all, there is a deep desire to start ripping open presents. 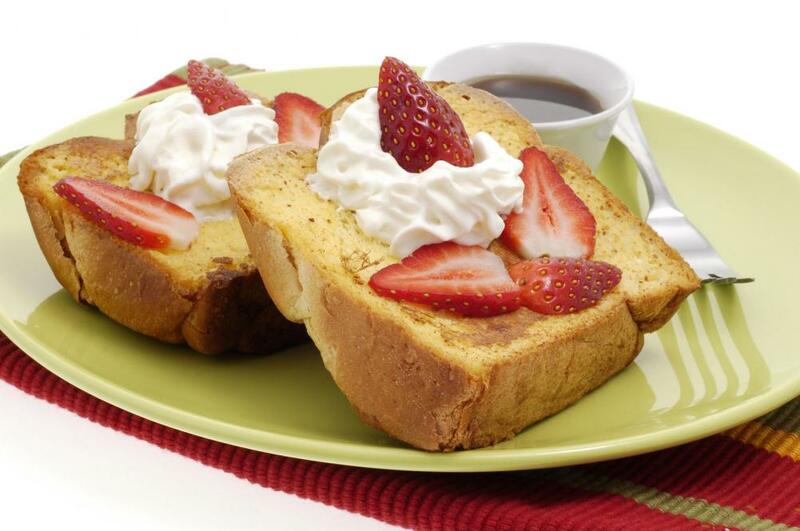 The great thing about French toast is that it is traditionally used to get rid of stale bread. The recipe transforms something we would simply throw away into something new and better that tastes like an amazing dessert. French toast is actually quite decadent when you have the right recipe. This one is pretty easy and a lot of fun to share with a table full of people. Butter a 9x13 inch baking dish. Arrange the slices of bread in the bottom. In a large bowl, beat together eggs, milk, cream, vanilla and cinnamon. Pour over bread slices, cover, and refrigerate overnight. The following morning, preheat oven to 350 degrees. In a small saucepan, combine butter, brown sugar and corn syrup; heat until bubbling. Pour over bread and egg mixture. Bake in preheated oven, uncovered, for 40 minutes. Beth’s Christmas Morning Crostini: A great Christmas morning breakfast if you’re looking for something simple and not-so-much a sugar overdose. Also, this recipe is YUMMM. Eggs Benedict Casserole: If you have a few growing boys or girls, or a spouse that craves a lot of protein early in the day, this is also a great Christmas morning breakfast to try this year.